This entry was posted in Songs and tagged Character Song, Ending Song, Free!, Free! Character Song, Free! Ending, Free! ES ending, Free! 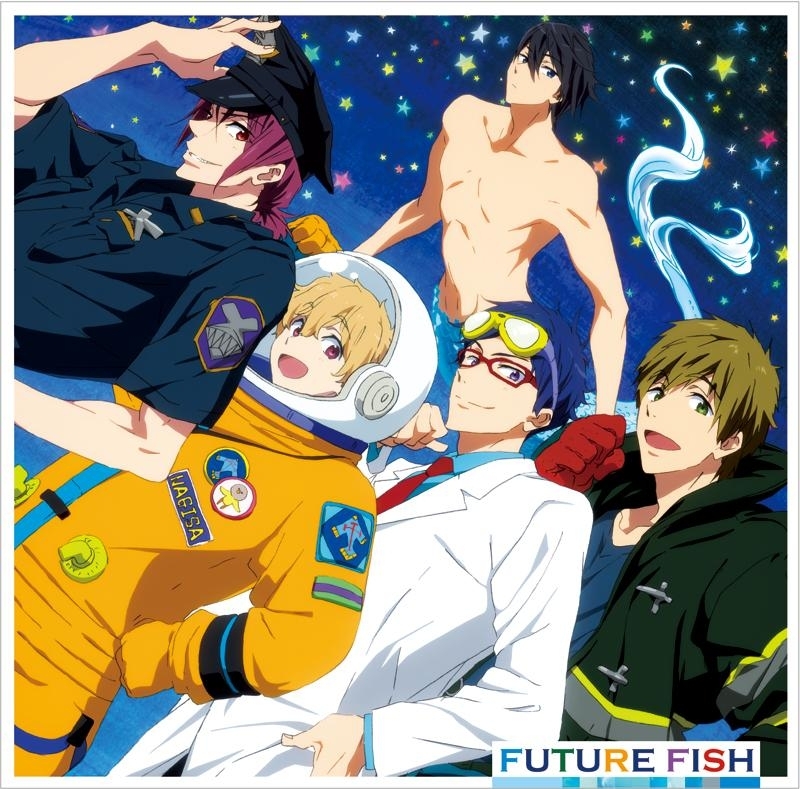 Eternal Summer, Future Fish, Hazuki Nagisa, Hirakawa Daisuke, Male, Male song, Matsuoka RIn, Miyano Mamoru, Nanase Haruka, NEO BLUE BREATHING, Ryuugazaki Rei, Sample, Sample Lyrics, Shimazaki Nobunaga, Song, STYLE FIVE, Suzuki Tatsuhisa, Tachibana Makoto, Translation, Yonaga tsubasa by shyuu. Bookmark the permalink. I don’t even know what’s what anymore. It seems I didn’t listen well enough, and I’m totally bad when it comes to two people singing together. I think you’re totally right about Haru singing first. I’ll probably just give up the colors when I edit it. Thanks a lot for pointing it out! Thanks so much for the comment! I’m glad when someone takes the time to correct me if they see any mistakes ! I either make stupid typos or mistakes because I couldn’t do better. I’m not even close to a great translator. You’re so right that it sounds kind of weird/nonsense, and I also thought about that…well, I didn’t think it might be “are”, but listening to it, I can’t get myself to hear anything else than “ame”. I tried searching, and it seems other people wrote “ame” as well at that part…I don’t know if they copied each other or something though. I’m really grateful that you told me, but I think I’m going to leave it like that…the lyrics probably still have mistakes in them anyway (especially on the English part)…I hope you don’t mind that.